US President reportedly tells French counterpart he 'gave Bibi a lot,' worried Netanyahu prefers status quo to peace deal. US President Donald Trump stated that he was willing to 'get tough' on Israeli Prime Minister Binyamin Netanyahu, Israel's Channel 10 News reports. The president reportedly made the statement during a conversation with French President Emmanuel Macron on the sidelines of the UN General Assembly last month. According to Channel 10 News, Macron raised the issue of the Arab-Israeli peace process and was critical of Trump for putting pressure on Palestinian Authority chairman Mahmoud Abbas while failing to put pressure on Netanyahu. Trump's predecessor, former President Barack Obama,was accused of taking the opposite approach and applying pressure only on Israel to make concessions while giving the Palestinian Authority a free pass. Trump responded that he is willing to put pressure on Netanyahu to get his peace plan presented in the coming months. According to four diplomats who witnessed the meeting, Macron told Trump: "My impression is that Netanyahu does not really want to move forward in the peace process because he likes the status quo." Trump reportedly responded: You know, Emmanuel - I'm very close to reaching the same conclusion." "I was tough with the Palestinians because they would not talk to us and that's unacceptable. I gave Bibi a lot, I transferred the embassy to Jerusalem and every year we give them $ 5 billion, you know, Emmanuel - I can be tough with Bibi [about the peace plan], like I was tough with the Palestinians." 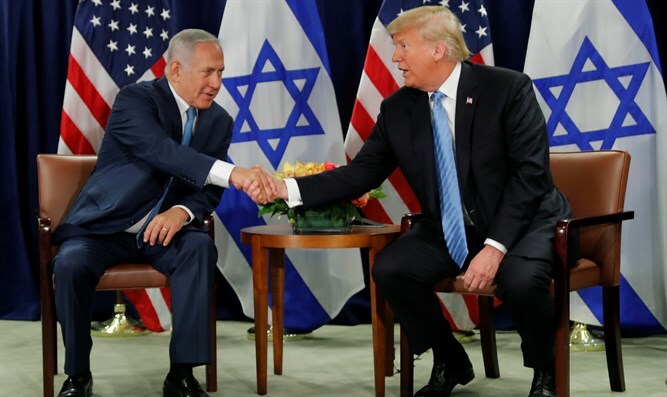 A senior White House official told Channel 10 News in response: "The president believes that Prime Minister Netanyahu is committed to trying to reach a comprehensive and lasting peace between Israel and the Palestinians."